UPDATE (12/12/2018): BIOS updates have failed to remedy the laptop’s throttling. 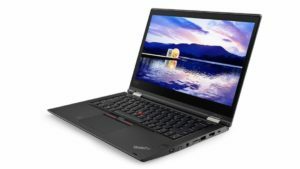 Users of the Lenovo ThinkPad X380 report that the 1.22 BIOS update fails to address the computer’s fan noise or reduce its throttling, with the GPU clock speed for some users dropping to as little as 0.4GHz. The law firm of Migliaccio & Rathod LLP is currently investigating reports of sluggish performance in the Lenovo ThinkPad X380 Yoga. Lenovo owners point out that after about an hour, the computer’s performance worsens and causes severe slowdowns in the system’s operation, a problem that becomes worse once some CPU load is applied. All models of the X380 Yoga use the 8th Generation Intel Core chips, which increased the core number from two to four. The heat output produced by the chips increased as a result of the increased number of cores, but the Lenovo chassis and cooling systems fail to adequately accommodate the increase in chip temperature. Due to an inability to properly cool the chip, the CPU is instead throttled to control for the increased temperature, which leads to a decrease in performance. The average clock speed of the computer’s four cores (1756 MHz) falls below their base frequency of 1.8 GHz. Independent testing confirms that after about the forty-minute mark clock speeds decrease and the cooling solution fails to adequately maintain an optimum temperature. Lenovo users have been waiting on a BIOS update to correct the issue, but have yet to receive one. One ThinkPad owner reported that, after contacting Lenovo’s corporate IT support, it was suggested that he replace the motherboard. Lenovo recently released firmware, driver, and BIOS updates to address the issue, but further testing reveals that the problem remains unresolved. Does Your Lenovo ThinkPad X380 Yoga Lose Performance After a Limited Time? The lawyers at Migliaccio & Rathod LLP have years of experience in class action litigation against large corporations, including in cases involving defective products. More information about our current cases and investigations is available on our blog.